It is that time of the year where Venice is the place to be: CARNIVAL! 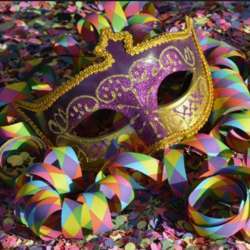 We are glad to invite you to our masquerade night, full of colors, happiness, and fun. Come and join us at the stylish bar of the Generator with your costume, mask, themed or not. The entrance will include dinner, 2 drinks, and DJ set for the special price of €20 to be in Venice for those who wish it. Looking forward to partying all night long.